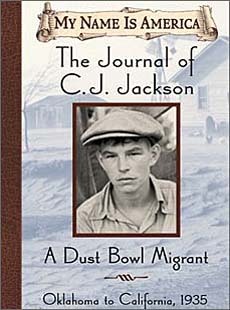 The Journal of CJ Jackson is a fictional journal about a family surviving the dust bowl, as told through the voice of one of the children. In their review, School Library Journal said "CJ is an authentic and likable protagonist" and "Durbin effectively conveys the plight of Dust Bowl families, from the horrendous conditions in the camps to the demeaning and demanding life of a migrant worker." This book is leveled for grades 4-9, but truthfully we thoroughly enjoyed this book as adults! And teachers will appreciate the epilogue, which is full of historical photos and documents. It's like a mini companion non-fiction book! This is historical fiction at its best! 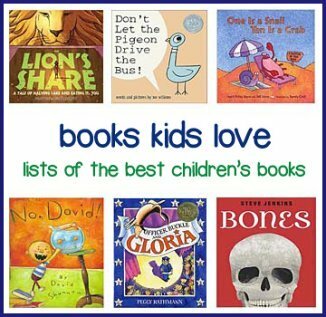 If you haven't tried historical fiction with your children, this is a great book to start with. Kids will have no problem putting themselves into the shoes of this 13 year old boy who is clearly just a kid, like them, but living in a very different, very difficult time. After reading this book, kids will likely want to know more about dust bowl children and what life was really like for those families surviving the dust bowl! This book is actually part of a whole series of children's historical fiction books called My Name is America. Each book is written in the form of a journal of a fictional young man's life during an important event or time period in American history. We love this series because the books are excellent AND because it is specifically aimed at boys (in this case, a tale of surviving the dust bowl written from the POV of dust bowl children, especially the boy of the family). Click the link above to see more from this series.